Name : I ate Justin Bieber! Does 80 damage and other poke'mon is poisoned. 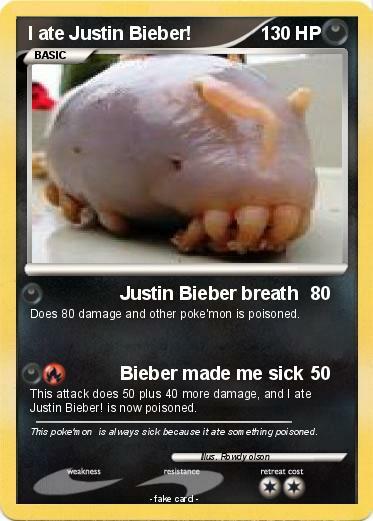 This attack does 50 plus 40 more damage, and I ate Justin Bieber! is now poisoned. Comments : This poke'mon is always sick because it ate something poisoned.